Longboarding Blog: Happy Holidays from MuirSkate.com! 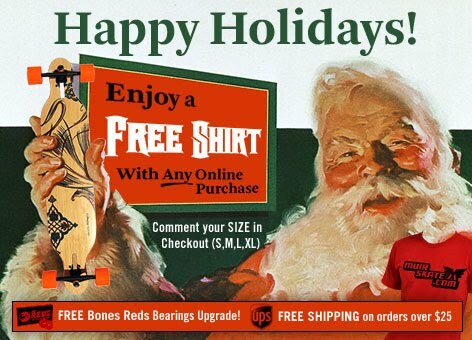 To help celebrate the season, we're sending out a FREE T-Shirt with ANY online purchase! Just let us know which size you prefer by entering it into the comment section of your order. Check out all Popular Longboard Skateboards! You got a great board!